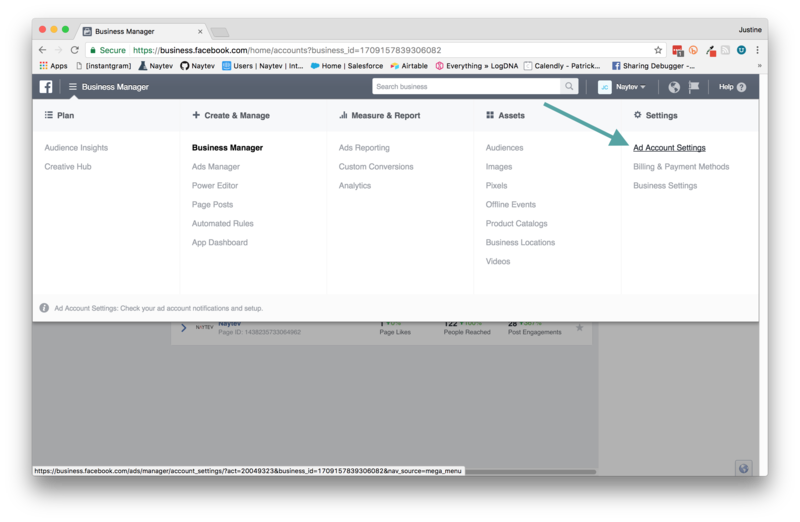 How to setup appropriate ad permissions for your team. 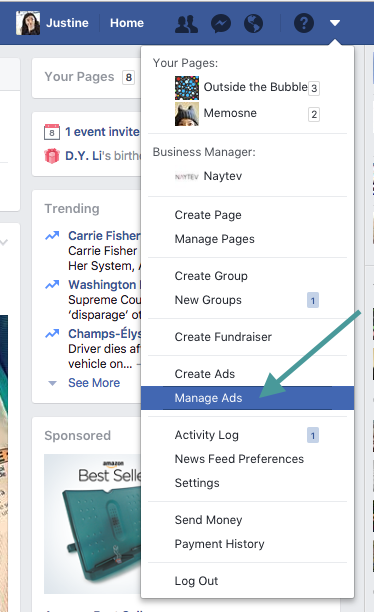 To open Facebook ads manager click on the the carrot on the far right of the toolbar and then select "Manage Ads." 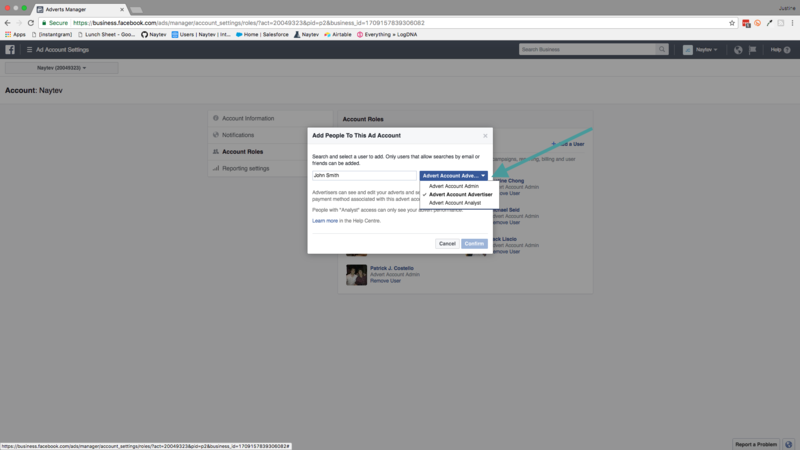 On the main FB Business Page, click on Account Settings. 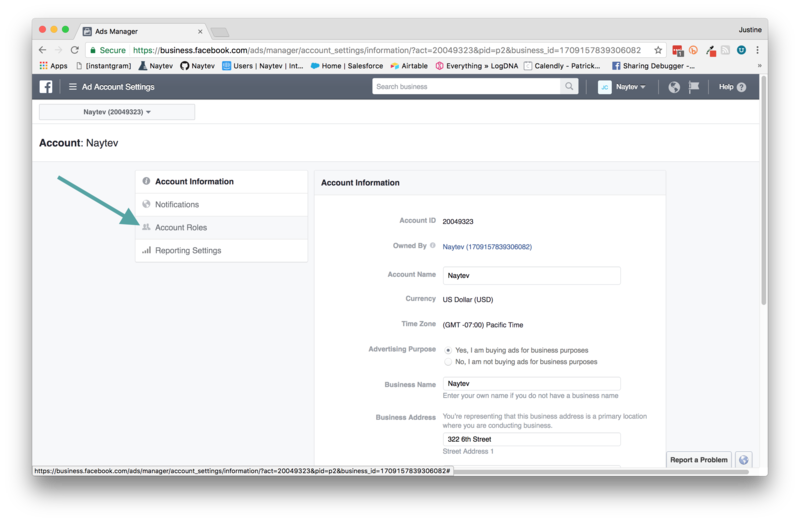 Then navigate to "Account Roles" in the left hand side bar. There you can see and modify which people have specific permissions. For the person you'd like to add to the account, select the appropriate level of permissions. After all relevant permissions have been assigned, be sure to click save. You're all set to start testing!